Oops, you've got a typo in that company name! No worries, just head over to Adminland by clicking on the Home button, then tapping on the 🔑Adminland link in the upper right corner. 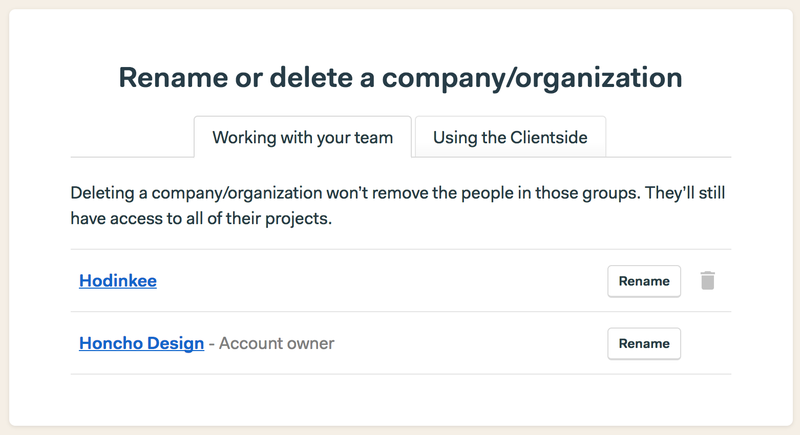 Once you're in Adminland, you'll select the Rename or delete a company/organization link. From there just select the company or organization that you'd like to rename or delete.